– On North Cahuenga Blvd & Hollywood Blvd next to Sharkey’s restaurant. The mural is on the wall in the parking lot. Near Santa Monica Blvd. and Orange Dr. (just a little down from Santa Monica Blvd. 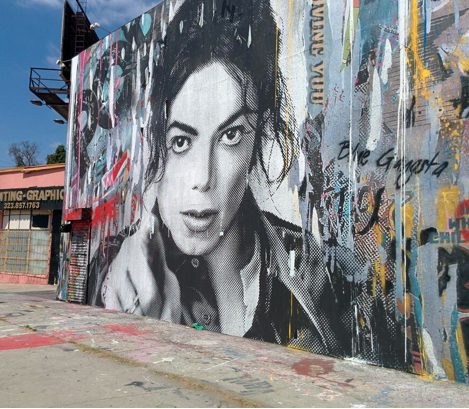 on a brick building on the left side) UPDATE: Mr. Brainwash Xscape Mural – Outside on the wall of the studio – 1251 S LaBrea Ave. just north of San Vincente Blvd in Los Angeles, CA. 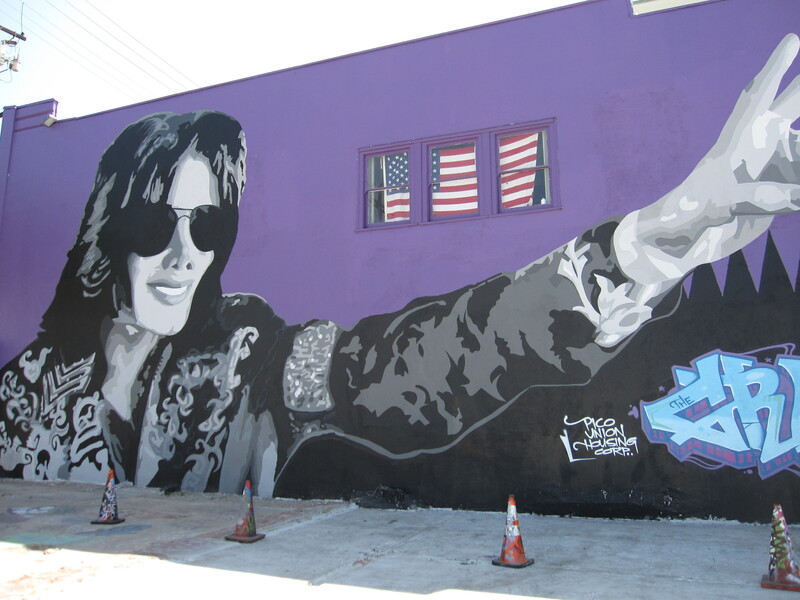 On the west side of LaBrea next to the Sparadise The mural of Michael is the creation of Thierry Guetta aka Mr. Brainwash Santa Monica Pier – Michael saw Cirque du Soliel for the first time with John Branca here in the early 80’s. The Cirque show was set up in a big tent in the sand to the right of the pier where a memorial to war heroes is now set up. On the pier is a carousel, roller coaster, Ferris wheel, arcades and bumper cars reminders of Michael’s Neverland rides. Hard Rock Cafe – Hollywood Blvd. 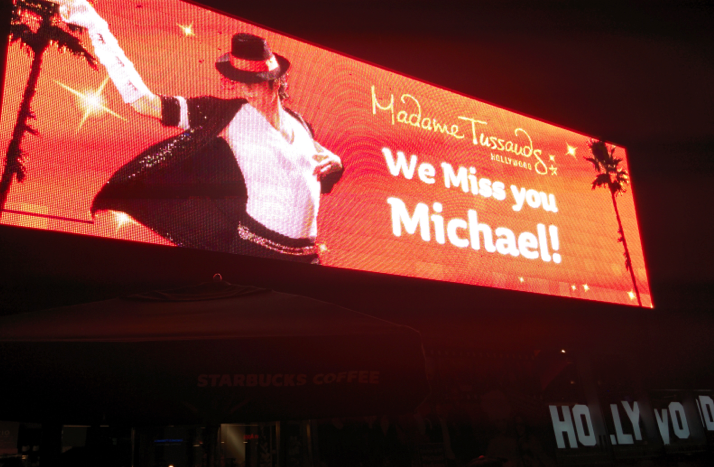 – MJ’s fedora, signed Dangerous album, Jennifer Batten’s tour jacket, original pic of MJ’s Hollywood Star ceremony. 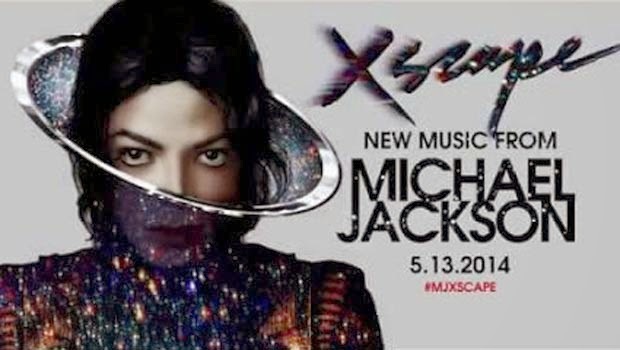 Michael Jackson fans around the world wish to express their excitement and extend their support for the upcoming album Xscape, due to be released May 13, 2014. The unprecedented worldwide charting at #2 on iTunes from pre-ordering in a mere two days after the announcement from Epic Records, clearly demonstrates that the power of Michael’s music has not diminished in his absence. We are thrilled that Michael’s magical artistry is once again at the forefront of cutting edge music and wait with eager anticipation for never before heard demos, as well as the finished songs by some of his most ardent admirers and musicians. Fans certainly recognize that these previously unreleased tracks will serve as an introduction to a new generation of fans, and also a reminder to veteran fans of the unparalleled body of musical genius Michael has left behind. Our continued love and support is also extended to Michael’s beloved children, Prince, Paris and Blanket Jackson. 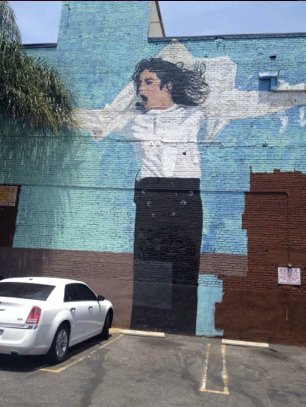 It is through his children and posthumous releases such as Xscape, that Michael Jackson’s legacy will live forever. 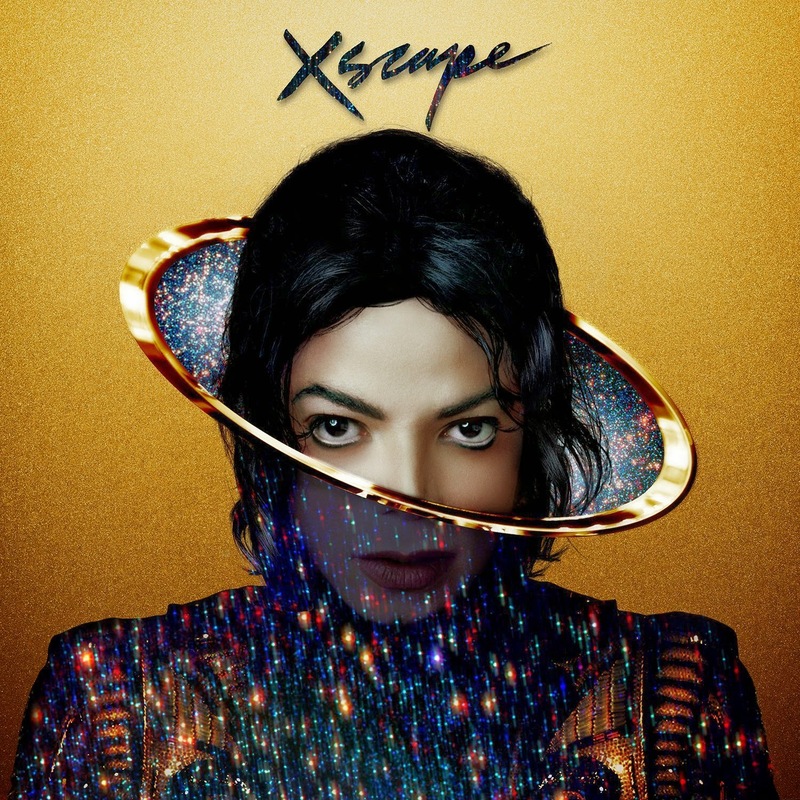 If you own a blog or fan site, and would like to add your logo in support of Michael’s upcoming album, XScape, send your logos to mjjxscape@yahoo.com. We will add your logos as fast as we can. You are currently browsing the archives for the Xscape category.